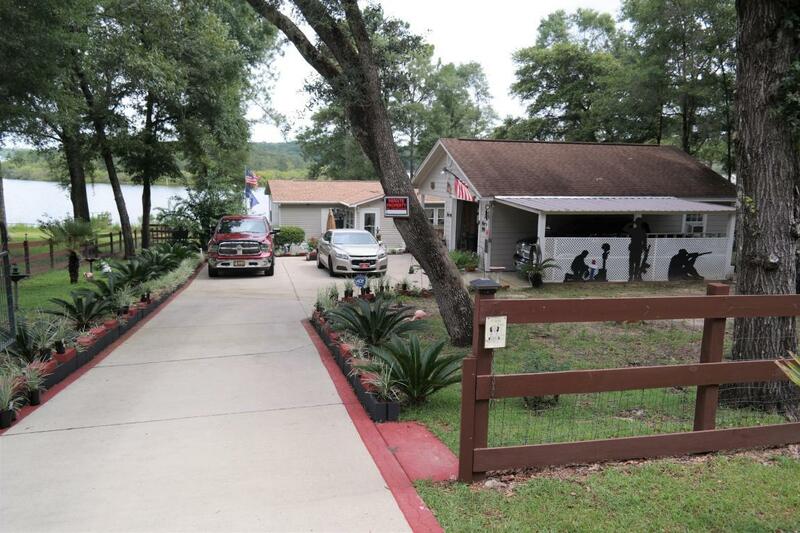 This amazing King Lake waterfront home on 1/2 acre fenced lot is an absolute must see! Exterior features include detached garage with carports on both sides, shop area & full bath; concreate walkways around home & to the dock; 12x15 open deck overlooking the lake; beautiful landscaping; Screened porch; New roof 2016; security system. The home & lot are both immaculately maintained. The 3 BR, 2 bath home features a roomy foyer; open floor plan,; walk-in closets in all rooms; 2 pantries, separate entry at laundry room. Master bath has garden tub & separate shower. Words can't encompass everything that this home & property have to offer. This one won't last long on the market so schedule your showing today...you won't be disappointed! This home qualifies for FHA & VA financing!